Jewels of the Sea is one of the best sea-themed games in Fish Arcade Games. Unique symbols accompany the primary symbols in the game. 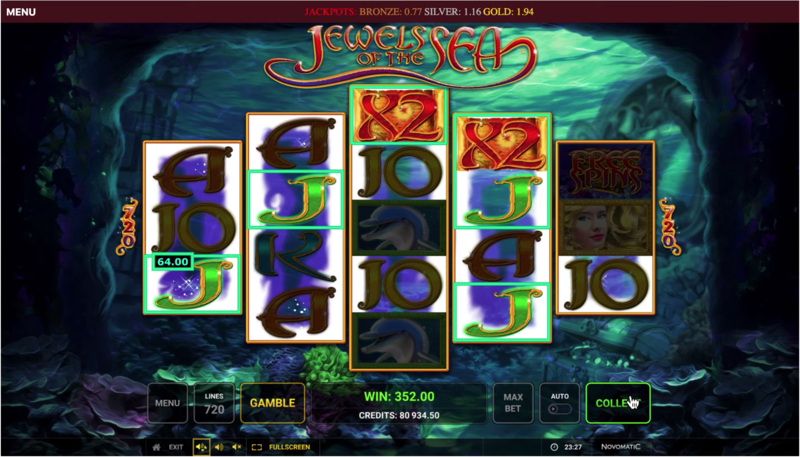 The Wild symbol in the slot game of Jewels of the Sea is the attractive mermaid. 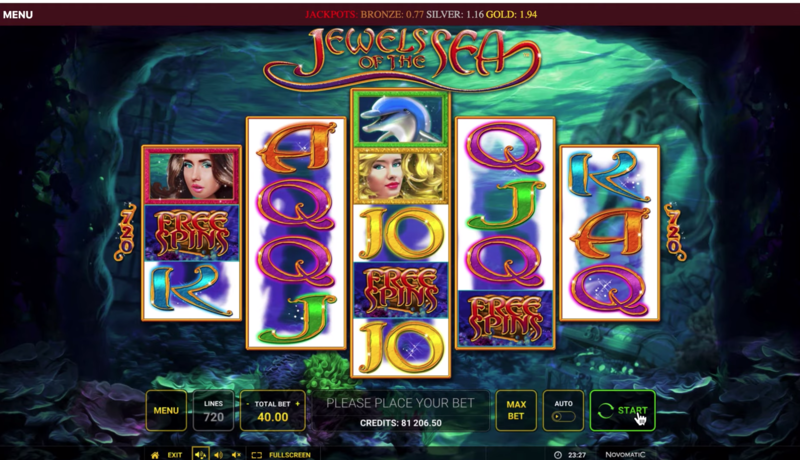 Jewels of the Sea is a 5 reel slot game with 3 to 5 rows, which means the chance of winning comes in 720 various ways. There are 5 free spins for you to gamble. You have a chance of doubling your wins with betting your last winning combination. The interface of the game is all water and the calm environment full of wins. In this calmness, you will jump into the sea adventures and get excited. The incredible fauna and sea creatures, such as smart dolphins, sea horses, and friendly mermaids, together with astonishing flora will make you obsessed with this slot machine game. When you start to play the game, the graceful mermaid welcomes you. With diving into the depths of the sea, you will discover the chest full of hidden treasures. The engaging environment is accompanied by bubbles of air, peaceful music, aquatic and splashy sound effects, sea animal spots and aquatic plants. The graphics and the animations are in the classic style of beautiful underwater theme. The deep blue sea design carries the elements of real-world coral and giant clams features. Besides the perfectly built design, there is plenty of chance to grab free spins and lots of cash. 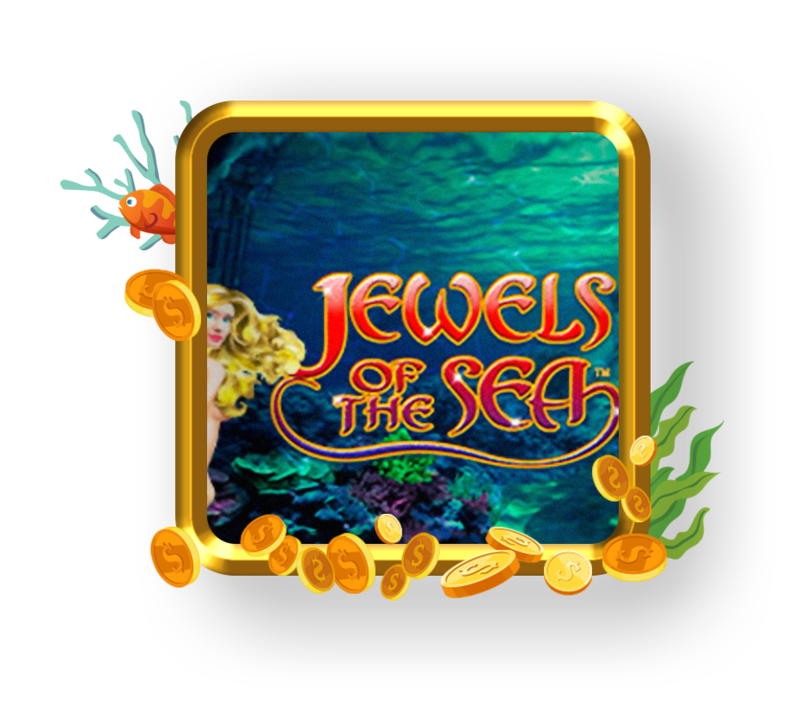 The lovers of aquatic-themed games will enjoy playing Jewels of the Sea.